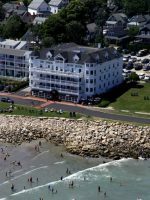 Cutty Sark Motel’s best feature is its location right on Long Sands Beach in York, Maine. 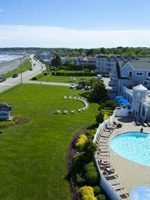 Families can see and hear the ocean right from their guestroom — which includes a good-size mini-fridge, Keurig coffeemaker and flat-screen TV — and then be at the beach in one or two minutes’ time. Parents — you’ll enjoy the views from the motel’s lawn chairs and loungers, as well. Bring a bottle of wine out at night after the kids have gone to bed. 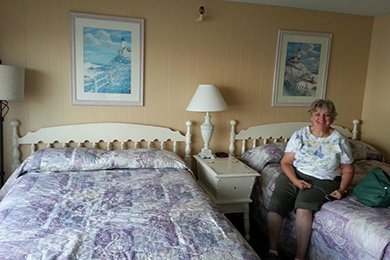 Cutty Sark Motel is conveniently located near York Village, where you’ll find souvenir shops, antique stores and restaurants serving fresh Maine “lobsta” and “chowda.” Also close by is Nubble Lighthouse and York’s Wild Kingdom Zoo and Fun Park. The Cutty Sark Motel offers rooms with one king, one queen, or two double beds, spread across three floors; elevators are not available. 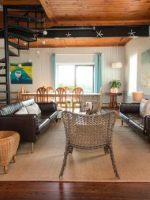 Furnishings are pleasantly modern, with subtle beach dÃ©cor and hues of blue, yellow, tan and white. Bathrooms remain dated, but have shower-in-tub combos for bathing young children. All guestrooms have flat-screen TVs, large mini-fridges, Keurig coffeemakers, and hairdryers. Irons and ironing boards are not provided, nor are rollaway beds or cribs. Note: Rooms are based on double occupancy, meaning there is a charge ($20 as of 2016) for each additional guest. It's old school, fits perfectly with the seaside surroundings, Golden Rod restaurant, Funorama, Nubble lighthouse. It is not luxe, it is not 5 stars, think more motel. But super clean and very friendly. 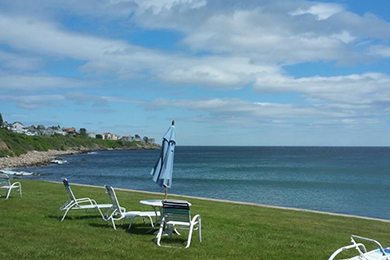 The location on the cliff is perfect for York activities with easy beach access and a private green space. And the views from the bedroom are amazing. Great value for what you get with plenty of parking. ...My 'go -to ' for 20 plus years! THIS IS MORE THAN a ' 'friendly-staff ' review. I have had the experience .. of sharing this treasure in York for over twenty years.... , and now making plans for an April stay. I often arrive stressed, ,but ALWAYS leave impressed. Long Sands Beach is just steps from the motel. 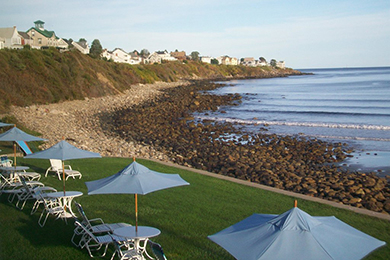 The wide beach, while rocky in some areas, is ideal for families with calm (albeit cold) waves. Restrooms are available at the beach (though the motel is close enough that you can just head back to your room when necessary). 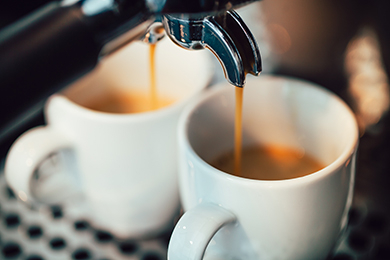 Complimentary coffee and muffins are served each morning, and many delis and restaurants are within reasonable walking distance of the hotel in either direction. Wi-Fi isn't available, even though it may be advertised. We couldn't find a connection on our phones, and while we found one on our computer, it was extremely slow. Pets are not permitted at the Cutty Sark Motel. The hotel typically requires one night's pay at the time of reservation; Visa and MasterCard are accepted, but American Express is not. You can check in between 2 and 6 p.m.; if you know you'll arrive after 6, call the motel in advance to make other arrangements. Check-out is at 10:30 a.m. 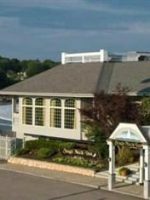 The most popular time to visit the Cutty Sark Motel and York is the summer, of course; nightly rates are highest during this time, usually hovering around $300 per night. The cost is steep, in our opinion; you're truly paying for the premium views and location. 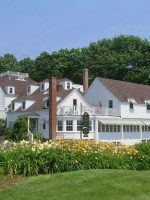 Opt to fly into Boston Logan International Airport (a little over an hour away) or Portland International Jetport (less than an hour). When driving, expect a few small tolls. 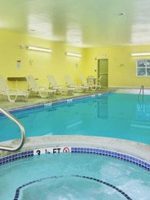 It's easy to walk to many points of interest from the Cutty Sark Motel. You'll want a car to get to attractions such as Nubble Lighthouse, Mt. Agamenticus and the neighboring towns of Ogunquit and Wells, though. Free parking is available at the motel, and we highly suggest you leave your car here and walk when you can, as parking is metered and tough to find in the height of summer. 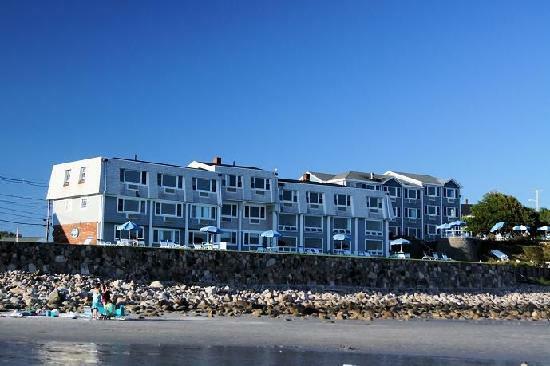 Buy a bottle of wine and settle into the hotel's beach chairs overlooking Long Sands Beach. Or, go for a stroll on the beach at sunset or even after dark, when the moon casts a beautiful light over the ocean.